We remember A.J. Mecum, but I was really young. 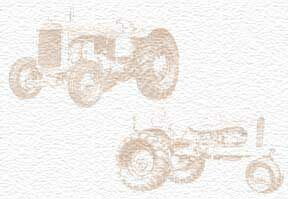 I, myself have never worked for Allis-Chalmers. I bought a D-17 and a 190 from Dale Mecum. I also purchase a Gleaner E 1967 from Dale. My Dad bought a model 72 combine new and had the cornhead with it. The dealership sold and had parts and service department. At the last I think there were only two people up front in sales and service, and maybe a mechanic or two in the shop. I remember Dale's bookkeeper, Adaline Lenerts, and Dale's brother Floyd. Floyd helped his brother but also ran a used car business on the other side of the shop. I always had reliable service from them. The Dealership has long since closed, Dale and Floyd have passed away, but I will always remember them as good friends.